Share this product and receive a $4.18 sharing discount. Purity Jewelry is nothing new... but this piece is just beautiful. 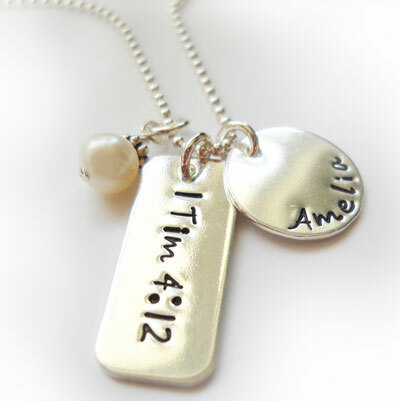 It includes a Sterling Silver ID Tag with the words 1 Timothy 4:12. 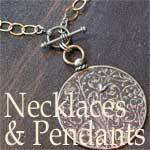 It also includes a Small Sterling Silver Disc for the child's name. Finally, it is finished off with a Mother of Pearl. All of these are strung on a 16" Sterling Silver Ball Bead Chain.